Shop LodgMate's hotel pillows and pillow covers to personalize and improve your guest's experience. 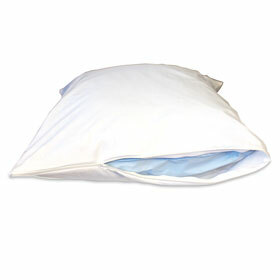 Choose our standard size Hollowcore polyester pillows for an economical option, in either a 20 ounce or 22 ounce fill. All our pillows are machine washable, odorless, and non-allergenic. For an upgraded selection, the micro-denier luxury Ultra-Down pillows are the best alternative to natural feather down pillows. With 36 ounces of fill, Ultra Down provides a cloud-like comfort that allows guests to freely fall asleep. 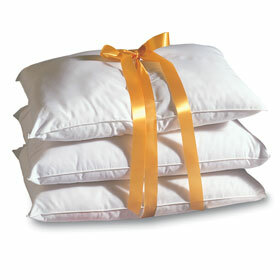 Protect your pillows from bed bugs, dust mites, and allergens with zippered pillow covers. Standard Size: 21" x 27"